It’s easy to get used to the game-changing advantages of quality, long-lasting washing machines. 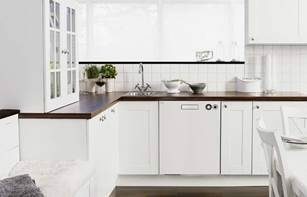 ASKO Laundry Appliances are among the best, manufactured using sturdy components and environmentally friendly materials for easy-care maintenance and washing machine repair. Does ASKO offer a washing machine repair service? Service is a core principle of ASKO expansion. 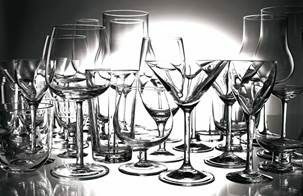 From manufacture to distribution and sales, the ASKO brand is founded on customer satisfaction, with after-sales service an important component. 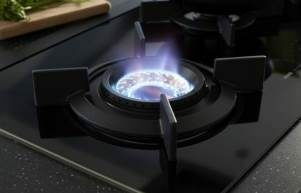 It’s due to these core functions that ASKO has become a household name in Australia with the reach to supply and service appliances whenever required. All ASKO laundry appliances are covered by warranty in the rare event of a malfunction or breakage, and our Australian service technicians are on hand to assist. In addition, ASKO washing machines incorporate easy-to-maintain components that prolong machine-life and improve the user experience. ASKO also offers extended warranty’s and even a 7-day breakdown service for direct communication with your ASKO Service Representative. Does my washing machine need to be repaired? In many cases, your ASKO washing machine will tell you what the problem is. The smart digital display control panel provides superior guidance during washing, along with error information when things go wrong. Additional information about the error is then found via the control panel ‘Info’ button. ASKO washing machines are built to last, and in the rare event of a malfunction most problems are easy to solve. ASKO washing machines are eye-catching due to the seamless exterior, but underneath is a powerhouse of balanced machinery and cutting-edge technology that provides a huge range of washing options. The smart capability means the washing machine can tell you what the problem is, allowing you to take the appropriate next step. Who should I contact to repair my washing machine? 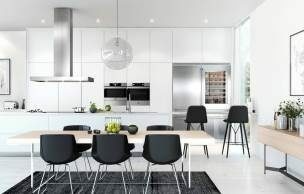 ASKO products are established Australia-wide in contemporary homes. We believe that business expansion should be coupled with the high-levels of service customers are used to, so we ensure our service representatives are on hand to answer you questions and provide on-site assistance. To ensure your warranty obligations are upheld, you should use the services of a qualified ASKO technician. 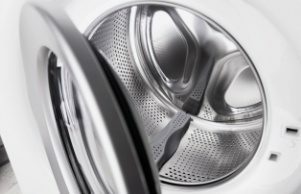 Although there are several cleaning and maintenance procedures anyone can do, washing machine owners shouldn’t attempt unfamiliar and potentially dangerous repairs. It’s easy to contact your ASKO Service Centre, and just as easy to tell them the washing machine model, type and serial number, as all information is clearly displayed on the machine. Depending on your situation, your ASKO service assistant may be able to assist over the phone or in person, and if parts are required they will be dispatched immediately from our approved and authorised spare parts manufacturers. Are ASKO washing machines durable? · SteelSeal Doors: Inspired by commercial washing machine technology, SteelSeal provides a clean, hygienic wash by eliminating the rubber door-bellow. Outmoded rubber bellows trap dirt and grime, ultimately degrading the materials and leaving washing less than fresh. All ASKO washing machines incorporate SteelSeal Doors that save users hundreds of dollars on replacement parts associated with rubber bellows. · Quattro Support: Many washing machines use only two internal legs to support the load. This is an obvious area where ASKO can do better, so we introduced the Quattro system where four shock absorber legs eliminate vibration for superior washing and a longer, quieter machine life. · Active Drum Technology: The special hourglass shaped lifting paddles provide a cleaner, gentler wash. The laundry wash is rotated toward the centre while dirt particles are guided toward evacuation holes for removal. How can I book an ASKO service for my washing machine? When a problem does arise with an ASKO appliance, we are ready to respond. ASKO Service Technicians have pride in our products and their work, allowing us to employ the most experienced and capable personnel possible. If you have a problem that can’t be solved using the display panel guidance, contact us for timely assistance. You can conveniently book a service call using the online service form. Simply fill in your details, fault information and your preferred date of service, and an ASKO representative will be in touch. Alternatively, call us on 1300 002756 and we can make a booking for a service representative to visit you. 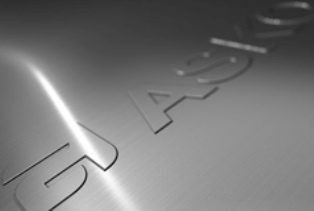 Quality service is all part of the package that makes ASKO a world-leading appliance manufacturer.